« What Should We Expect From The Miami Dolphins In 2017? 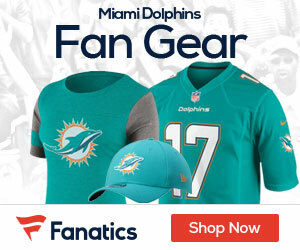 Wendy’s and the Dolphins are kicking off an exciting new promotion for the upcoming season! 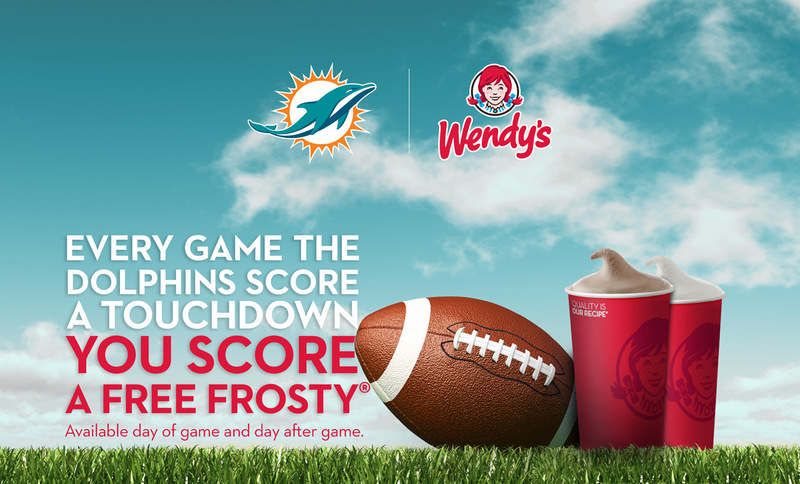 Every game (home or away), if the Dolphins score a touchdown, you score a free Frosty on the day of the game or the day after the game. * They’re making sure that all of South Florida has a Frosty Freeze this season since they scored one in every game last season. To celebrate this awesome promo, we’ve teamed up with Wendy’s to give one lucky Dolphins Gab reader a $50 Wendy’s gift card. To enter, simply leave a comment below telling us what your favorite Wendy’s menu item is. We’ll pick a winner at random on Friday, September 1, 2018. Good luck! * One free small Frosty® per customer while supplies last. No purchase necessary. Only at participating Wendy’s® locations in Broward, Dade, Indian River, Martin, Miami Dade, Monroe, Okeechobee, Palm Beach and St. Lucie counties until January 1, 2018. My favorite thing from Wendy’s is the Chocolate Frosty. It reminds me of my childhood!! Junior bacon cheeseburger is the best! On these hot days, gotta be those frosties!